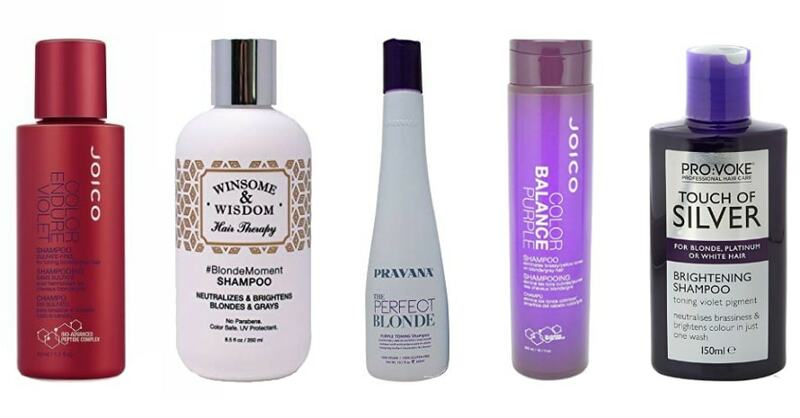 Best Purple Shampoos: How to Make Your Beautiful Blonde Stay Longer? Have you ever bleached your locks or dyed it blonde? Then you’ve probably noticed that over time, your lovely platinum blonde inevitably gets those brassy and yellow tones that ruin everything… We’ve all been here, right? And what if I tell you that there is a solution? And its name is the purple shampoo. , but I also ask my clients and fellow stylists for advice. In this post, I’m going to make a list of the very best shampoos I am aware of to help you get this silver/ashy blonde back! Also, I’m going to answer some of your questions about this product, like how does a purple shampoo work and what is it made for? So, if you’re not sure which one to choose – I’m here to solve this puzzle! 1 First Glimpse: What Is a Purple Shampoo Anyway and How Does It Work? 3.1 For whom the purple shampoo is made? 3.2 How often to use a purple shampoo? 3.3 The shampoo is so deep blue. Is my hair going to get the same purple hue? First Glimpse: What Is a Purple Shampoo Anyway and How Does It Work? You may have heard of this product, but do you know what does a purple shampoo do? Its primary purpose is to remove brassiness and yellowing from dyed blonde hair. If you want to keep your beautiful silver, ashy or white blonde, then this shampoo is a must-have for you. Also, if you prefer to dye your hair unnatural colors, such as purple, you also want to try out this product. Some people use this shampoo for purple hair to keep the color bright and prevent it from fading or dulling. , are great at removing that nasty brassiness. Also, this Paul Mitchell purple shampoo gently cleans your tresses, adds extra shine, and helps to get rid of yellowing. It’s a win-win! Always follow the directions that state how exactly you’re supposed to use this particular purple shampoo. If you’re using such a product for the first time, leave it on hair for just 1-2 minutes to compare the purple shampoo «before and after». It’s not going to make your locks absolutely white if you leave it for too long. Quite the opposite, the shampoo will probably dye your precious locks purple, and you will get the temporary creative look. To prevent dryness, always follow up even the very best shampoo with a good moisturizing conditioner. And be especially careful when using a purple shampoo on dry hair to avoid further damage. So, here is my top list of the very best purple shampoos I’ve tried out so far – mostly, on my clients. For me, it’s the best purple shampoo for brassy blonde hair. 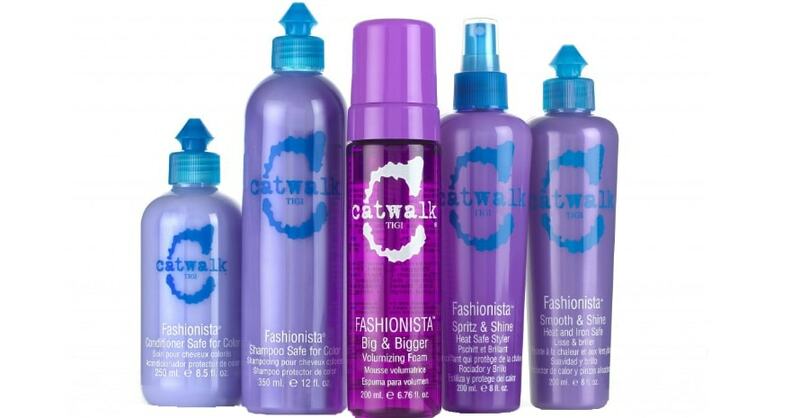 Its protein-enriched formula is designed to tone down brassiness on silver and blonde locks, and it does the trick! After the very first washing, you will probably see the difference. Blonde hair looks less yellow and more white, without those brassy tones. Also, this Clairol purple shampoo works nicely for highlights, refreshing and lightening them up significantly. The Shimmer Light conditioner also helps to tone down brassiness while conditioning your tresses. This product contains a rich blend of moisturizers and color refreshers for gray, white, highlighted, and light-blonde dyed hair. Making coarse mane silky and easy-to-manage without residue, it also gives it more shine. Keep in mind that these are NOT products for daily use. Even with the help of the conditioner, this Shimmer Lights shampoo may dry hair. It’s better to use it once a week or less frequently. Then it will be the best purple shampoo for brassy hair indeed. the Shimmer Lights conditioner smoothes hair, leaving it silky and manageable. the smell is too strong, but it washes out as soon as you rinse the products off. 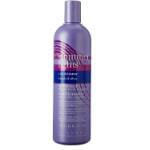 This JOICO purple shampoo works great for toning blonde or gray hair. Also, it helps to get rid of brassiness and red tones. You will notice the huge difference after the very first use! If you prefer you locks to be icy, bright, and shine – this purple shampoo for blonde hair is made just for you. Also, hair feels softer and easier to brush which is super important if you’re the one to have damaged bleached locks. Follow the directions and don’t leave this purple toning shampoo for too long. Otherwise, you will get temporary purple locks which may be okay for some people though. 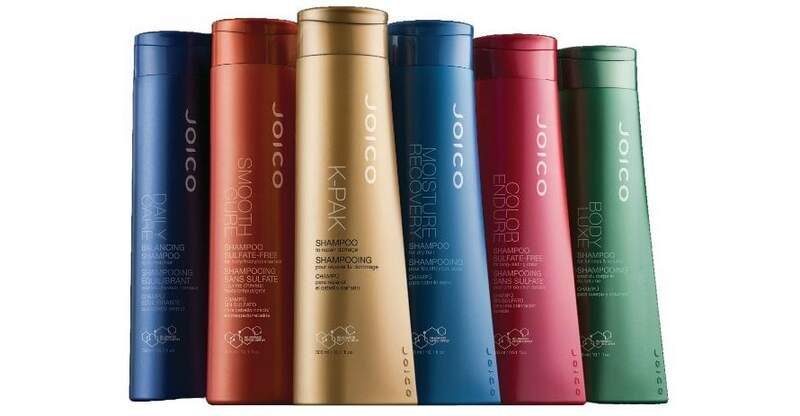 And it’s better to follow up this shampoo with the Joico Color Endure Violet conditioner or any other deep conditioner. Your hair will definitely appreciate extra moisture! may dry out your hair. This Pravana purple shampoo utilizes a special dye to beautifully tone and brighten your tresses. And the added keratin, wheat and silk amino acids help to bring strength, shine, and elasticity back into the hair. As a result, you will get these bright and brass-free locks that you’re craving for. A friend of mine was able to turn an orange blonde into silver ashy blonde with the help of these products. Also, from my experience it’s one of the best purple shampoos for ombre hair. 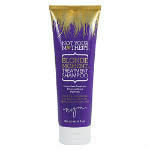 Use this Purple Toning conditioner to enhance the shampoo outcome. This powerful duo of the best purple shampoo and conditioner cleanses, softens, and brightens blonde hair, protecting the color. The only thing is, if used too often, the shampoo will give your hair a purple tint. So I’d recommend using it now and then, alternating with your regular shampoo. 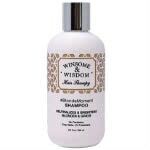 Another good shampoo to get rid of unwanted brassiness. Also, it helps to remove green tint after swimming in an over-chlorinated pool. If followed up with the EverPure conditioner, this L’Oréal purple shampoo will give you amazing results – shiny, soft, and manageable locks without these brassy tones. 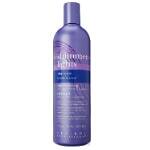 This EverPure Blonde system with iris gently cleans and hydrates blonde locks. It’s gentle enough to use on over-processed, damaged or color-treated hair. But if you want your hair to get a purple tint, that’s not a shampoo for you. It doesn’t tone hair, just removes brassy and green tones. doesn’t add any purple hue to hair. As the manufacturer claims, this duo will preserve 89% of your hair color for up to 8 weeks. Honestly, I can’t confirm this whole 8 weeks thing, but these products really do a great job at removing brassiness. If you want to get rid of the brassy orange and turn it into ash blonde – this Joico Color Balance Purple shampoo is the go-to product! 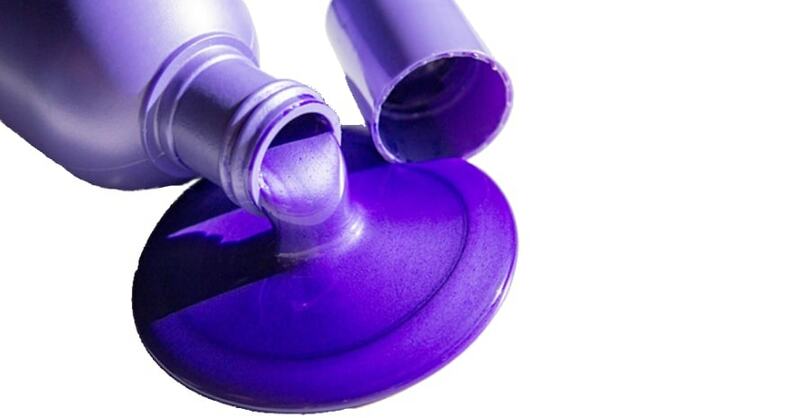 It leaves almost no purple tint, but if you use it too often, you may get a platinum purplish color. Still, I’d recommend following the directions and use this duo now and then. Otherwise, it may dry your locks. 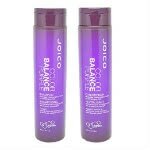 And if you don’t like this Joico Color Balance Purple conditioner for whatever reason, make sure to use any other moisturizing conditioner that you find to be good for your hair. these products are pretty hard to clean out of the shower. In my experience, it’s the best purple shampoo for white blonde hair. As the manufacturer states, this sulfate-free purple shampoo is suitable for gray, blonde, bleached, and highlighted locks to keep the color bright and radiant. The intense violet pigments help to combat unwanted yellow and brassy tones to leave you with beautiful silver ashy tresses. Since its formula is really strong, make sure to read and follow the paper directions, especially if you’re using this purple shampoo for blondes for the first time. You may want to wear gloves ‘cause the high concentration dyes hands and nails a bit. Other than that, it’s the best sulfate-free purple shampoo that I know of. The results are just amazing! the best purple shampoo for natural blondes that neutralizes brassy and yellow tones. 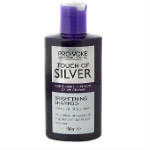 This Touch of Silver shampoo is rather effective, yet affordable product for grey, white or platinum blonde hair. It’s one of the best cheap purple shampoos that comes in a convenient «trial-size» bottle which is also handy for travel. The shampoo itself is a deep purple color, and it lathers pretty well. The color doesn’t seem to stain the shower or shower curtain. To remove unwanted brassiness, follow the directions and use this shampoo twice a week or less frequently. Otherwise, it may dry out your precious locks or dye them purple. And if you’re willing to tone your locks a little bit, it’s one of the best purple toning shampoos. Just make sure to follow it up with a good moisturizing conditioner to avoid dryness. comes in a travel-sized bottle. Made with natural balancing extracts, this toning purple shampoo neutralizes yellow and brassy tones, stops fading, and brightens blonde and gray locks. It contains natural guar gum derivative that adds volume, conditions hair without causing build-up, and reduces frizz. Also, this product protects your precious tresses from sun damage and color fading thanks to the UV-absorber. In my experience, it’s the best purple shampoo for brunettes who want to keep their blonde highlights not brassy. For better results, use it with the BlondeMoment conditioner. It’s the best purple shampoo for platinum blondes since it does a great job of reducing brassiness. You will notice the difference after the very first use, and 3 or 4 washes are usually enough to get rid of these brassy tones. This shampoo is very dark in pigment, almost like the color of the bottle. It’s supposed not only to combat brassiness but also to protect your hair color. The list of ingredients includes violet rice which helps to revitalize and soothe dry or damaged locks. So, this Not Your Mother’s purple shampoo is a great product, especially for the price. Paired with the conditioner, it’s the best purple shampoo for silver hair which will neutralize those brassy yellow tones and keep your silver tresses bright. This set is specially formulated to protect, balance, and tone bleached blonde and silver-colored locks. The coconut extract hydrates the scalp and helps to repair split ends, while vitamin E stimulates scalp circulation and promotes healthy hair growth. 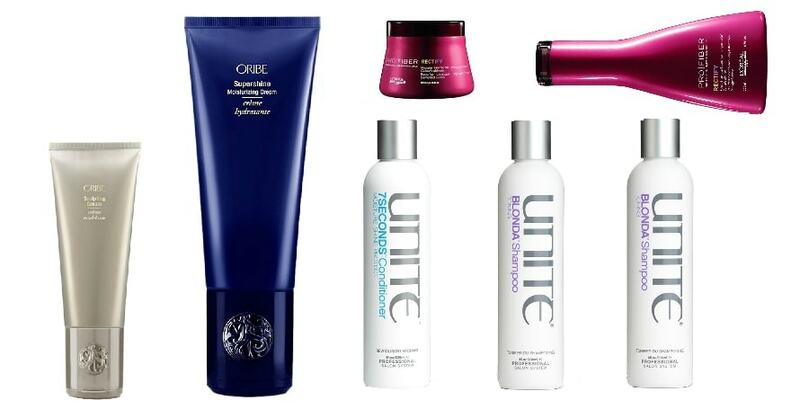 These products will leave you with soft, shiny, and bouncy locks which are easy to style. As far as I can tell, it’s one of the best purple shampoos for Asian hair that is bleached ashy blonde. both bottles are almost identical, so it may be hard to tell one from another if you can’t see well without your glasses. For whom the purple shampoo is made? It’s made especially for people with various shades of blonde – dyed platinum, white, silver, ashy blonde, and pastel hair. Thanks to the violet pigment, this shampoo helps them to get rid of the brassy and yellow tones that are almost inevitable if your hair is dyed blonde. Also, some people use a purple shampoo for gray hair to tone their locks a little bit. If you’re a natural brunette or brown-haired, there’s no need for you to use a purple shampoo. Unless you have highlights and you want to prevent them from getting brassy – in this case, using a purple shampoo on brown hair makes sense. How often to use a purple shampoo? Many people wonder what is the best way to use a purple shampoo. 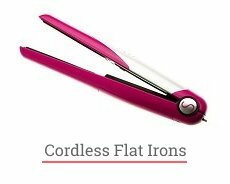 Generally, you’re supposed to use it once or twice a week, depending on how brassy your hair is. You can’t just replace your regular daily shampoo with a purple one – the latter can dry our hair and dye it purplish if used too often. The best thing is to read the directions for your particular shampoo and carefully follow them. This way, you will probably get the desired result aka smooth and shiny blonde tresses without brassy hints. The shampoo is so deep blue. Is my hair going to get the same purple hue? If you’re using this shampoo properly, then no. This purple pigment is supposed to prevent your white/silver/ashy blonde from turning into brassy or yellowish. That is possible because purple and yellow are on the opposite sides of the color wheel. Still, your hair may get a slight purple tint if you’re using the purple shampoo too often, so be careful and follow the directions. Also, this shampoo helps your purple-dyed locks to keep the color, preventing it from fading and dulling. As I’ve already mentioned, one of the best shampoo for purple hair is the Joico Color Balance Purple Shampoo that helps your purple to stay longer. Well, I guess we’ve learned a little something about purple shampoos, haven’t we? Now you know what a purple shampoo does to blonde hair and how to use it properly. Also, you have a list of the very best purple shampoos for blondes and those with highlights. We’ve talked about using a purple shampoo for grey hair and violet dyed locks. Finally, I’ve answered some of your most asked questions about the product. I hope now you’re absolutely ready to choose the best one for you, and choose it wisely. Ladies, do you have any other questions about using this shampoo? What is your experience with this product? Which is the best purple shampoo for your platinum/silver/ashy blonde? Feel free to leave your comments below! I am choosing between purple VS blue shampoo. Which one would you recommend? You should choose a shampoo regarding the color of your hair. Blue and purple shampoos were formulated for possessors of different hair colors. Purple is for medium blonde, extra-light, and true blondes. Purple shampoos are also perfect for blondes with silver. They eliminate unnecessary yellowness of your favorite color. Blue shampoos are better for brunettes, brunettes with highlights, and really dark blondes. Blue brassy and warm orange tones. Guiding by these recommendations, you will quickly find a shampoo precisely for your hair. Which purple shampoo works best? I’ve tested plenty of purple shampoos and for best results I can recommend the following: Clairol Silver Paired with the Clairol Professional Shimmer Lights Conditioner, JOICO Color Endure Violet Shampoo, L’Oréal Paris EverPure Blonde Shampoo, Blonde Moment Purple Shampoo by Winsome & Wisdom – Best Professional Purple Shampoo, Not Your Mother’s Blonde Moment Treatment Shampoo. The complete list with descriptions of properties you can find in my article about purple shampoos. How long to leave purple shampoo on dry hair? You should follow the recommendations of the manufacturer and leave the purple shampoo for the recommended period. Usually, it is only 1-2 minutes for the first time and a few minutes longer afterward. How to get golden blonde hair without brassiness? To get golden blonde without brassiness, you should use purple shampoo. The primary purpose of these shampoos is to help you get the desired blonde without brassiness or warm orange. The purple shampoo is your must-have if you prefer cold, ashy, white, and silver blonde. Thanks for sharing those awesome descriptions, Monica! 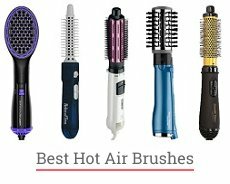 I really grateful for your blog – it’s my first advisor in questions related to hairstyle and hair care products. 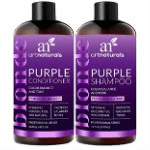 That ArtNaturals shampoo is what I was looking for since I started dying my hair. It’s the best natural purple shampoo I’ve ever tried. Believe me, I tried a lot of other products but none of them was so pleasant and effective as ArtNaturals. After I started using it I noticed that the quantity of split ends reduced and my hair really looks healthier now. That’s my favorite shampoo I think. I was searching for a shampoo which would help me to avoid unwanted yellow tones and make my hair shinier. That purple shampoo Pravana you described here is exactly what I was looking for. After using it there is no sight unwanted yellow color in my blonde locks. And the smell of that shampoo is just awesome and this freshness stays with you for a long time. I was doubted at first should I buy it or not because of a high price but now I have no regrets I purchased it. Thank you for the recommendation, Monica! I feel like I’ve tried so many. I can’t find the right one. I follow the directions and even tried them taking the time to less and my hair always has a purple tint. My hair is pretty white/platinum. Is there any shampoo that will be strong enough to remove yellow while not leaving a purple color behind? Hi, Monica! I’m Sandy and I’m blonde, my sisters are blonde and my best friend is blondie too! And I should say that all of us were sure that choosing a purple shampoo for blonde is a real trial for us before reading your amazing article, thank you! Each of us found the product she needs here. I personally chose Joico Color Balance because it’s the best purple shampoo for platinum hair I think. My friend’s hair color is different so she decided to try Touch of Silver brightening shampoo and she is totally satisfied with her choice too. Thanks for making us more beautiful, Monica! Hello, Monica, love your blog 🙂 Clairol Professional Shimmer Lights is something magical, the best option for my locks and the best purple shampoo ever. I don’t use it as my daily shampoo but that hair product is necessary to remain the hair color exactly as I want it to be. Other remedies are better for platinum and other types of blonde but it was very difficult to find a product for ashy locks like I have. After a year of usage I can say that my Clairol is the best purple shampoo for ash blonde hair ever! Strongly recommend to everyone with such a hair color.